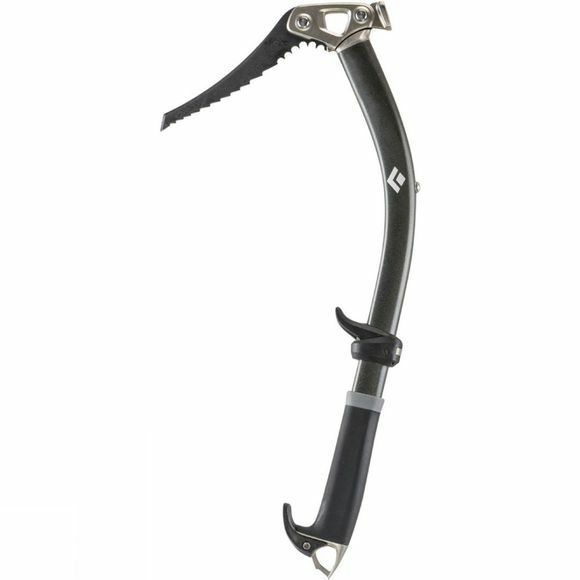 The redesigned Black Diamond Viper Ice Hammer Tool provides all-around performance for the ice and alpine climber. Its hydroformed shaft extends through the grip for maximum rigidity and offers you a responsive feel. Its adjustable FlickLockÂ® pommel acts as a secondary grip position for ice climbing and cragging and easily slides up the shaft for choking up on low-angle snow slopes. The modular head allows for easy changing of picks and swapping between hammer and adze.